Air racing does include speed, while other events call for the pilot to estimate flight time and fuel consumption. The women under this heading also promoted civilian or general aviation as well as their home state. Greenwood “Cokie” Cocanougher was a native of Lexington who took to flying from a request by her son Archie. The deal: she would try flying if he would attend Sunday school. Her enthusiasm quickly developed and took her on to more than 5,000 flying hours. Within four years of her first flight, Cocanougher had her commercial pilot and instructor pilot ratings. 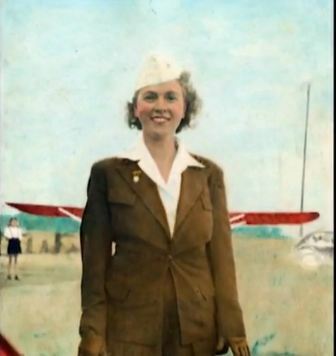 The demand for pilots in WWII gave her instructor pilot employment for wartime flyers under the War Training Service Program. Cocanougher participated in five International All-Women Air Races, and won the 1950 “Powder Puff and Beaux” Derby from Columbus, Ohio to Boston. She received the Jane Lausche Air Safety Trophy for her accomplishment: Cocanougher was just 3 minutes off her estimated flight time, and only .7 gallons away from her estimated fuel consumption. When not racing, she flew across the state as Executive Director of the Associated Women’s Department of the Kentucky Farm Bureau. Betty Moseley began her private flying career when she made her first solo flight in December 1968. Encouraged by her husband who had been a military pilot in WWII, she accumulated flying hours and prepared for the 1971 Powder Puff Derby. The challenge of the race was a 2,700 mile route from Calgary, Canada to Baton Rouge, Louisiana. Conducted in legs, the race was going well for Moseley until she heard a “Mayday” distress call in the last portion of the event. Another pilot had become lost and low on fuel. Moseley relayed radio messages to the distressed pilot, and guided her to a safe landing. Moseley and her plane “Smitten Kitten” forfeited a chance to win by helping another pilot; she was recognized by the Federal Aviation Administration for her action in preventing an accident. 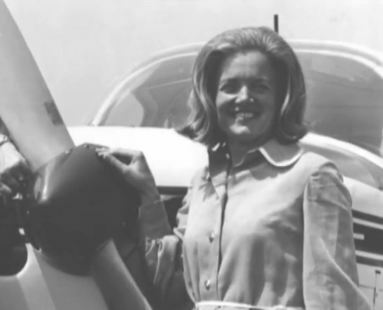 Away from air racing, Moseley was active in the Blue Grass chapter of the International Women’s Pilot Association and served as chair of the first Kentucky Aviation Week in 1972. In that same year, working with the Kentucky Air National Guard, she was authorized to train and fly in the supersonic fighter planes that the Guard was assigned. On October 18, 1972, Betty Moseley became the first woman to fly in a combat jet in Kentucky. See more in the “Betty Moseley” entry in The Ninety-Nines: Yesterday-Today-Tomorrow (Turner Publishing Company, 1996).